SCD Group: What Hiring Criteria Does Your Association Use? I was catching up with an old friend at a conference banquet the other day. He shared a story about his son that may offer staff recruiting advice for association executives. My friend’s son was invited to a tryout for a nationally-regarded junior college baseball team. After the tryout, my friend and his son were invited up to the baseball office to meet with the head coach, a respected professional with a long resume of championship teams. And here are the coach’s comments that might serve association executives. He looked me in the eye when I talked with him. He had his shirt tucked in when he threw pitches for us. He wasn’t playing on his smart phone when we talked. The coach knew the son’s physical abilities from the videos and pitching (this is similar to reviewing a resume). The coach, however, was looking for clues about character to help make the decision to hire (offer a scholarship). 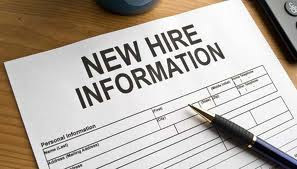 Years ago, someone told me that the resume tells an employer whether the candidate has the skills for the job but the interview determines whether the candidate fits the job and whether the employer and candidate like each other. This is one reason why my AMC used group interviews with candidates. I wanted to see if the candidate fit with the team of staff they would be working with. Why? Because I believe deeply in the concept of “team chemistry.” Winning teams get along. Like each other. Help each other. And, that is what I heard in my friend’s story about the college baseball coach. How does your association treat the hiring process?